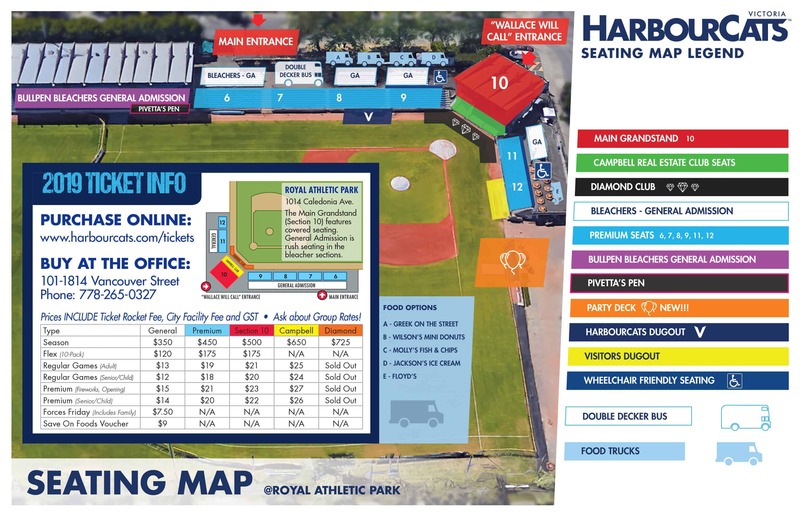 If you have a positive attitude, a team-first approach rather than a “my role” mentality, a commitment to providing exceptional customer service, and wish to join the Victoria HarbourCats at Royal Athletic park this summer, please email a resume and cover letter to andy@harbourcats.com. Please note which position(s) you are applying for in the subject. Due to the expected volume of applications, it is likely that only short-listed applicants will be contacted. Please note, we have limited paid positions, and we also have ‘fun at the park” volunteer positions for our 2019 season that are perfect for students looking to satisfy volunteer hours. The Volunteer Positions are intended for those who love being at the ballpark and helping out – volunteers have access to the park during all games, and we highly value those who can make all, if not most, of the games, to help out. Our ticketing staff are amazing! Looking for a few people to join the schedule rotation here. Work the front-end of the operation at Royal Athletic Park, ticket booth. Four ticket windows per game for 33 home dates. Ushers will be the first point of contact for many fans when they enter Royal Athletic Park. They will be responsible for helping fans find their seats as well as answering any inquiries they may have. Volunteers must be friendly, helpful, and enjoy working outdoors. How much fun is that? Not tough to take at all! Oh, do we get questions. Lots and lots of questions — and we love to answer them with a smile so the fun of the ballpark and that entire fan experience is the best it can possibly be. A great way to meet people and interact with fellow baseball fans and community supporters. An ideal role for any fun-loving senior, and what senior isn’t fun-loving?